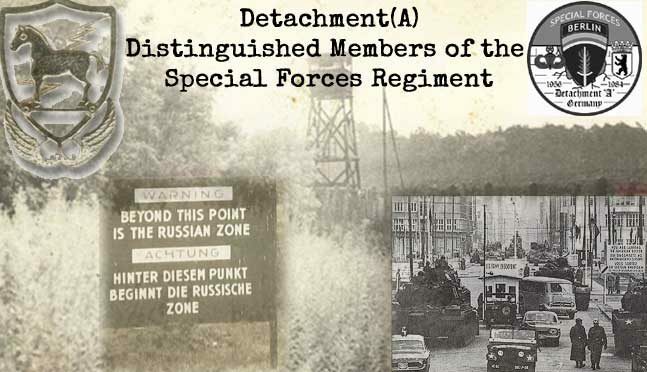 DET-A Recognition | Detachment "A"
We Are the Mighty author Logan Nye has published an article dated 14 August 2018 entitled The top-secret plan to cripple Berlin during a Soviet invasion. 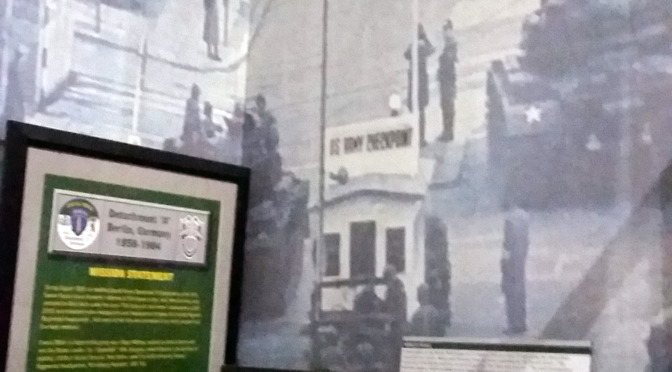 This section recognizes and pays tribute to all those Detachment “A” members who also served in the prestigious unit SOG – another unit unrecognized for decades. This list shows the caliber of Special Forces troops that served in Detachment”A” and SOG yet were unrecognized for decades. This is not an exhaustive list. When Bob Charest realized that Detachment (A)’s history was fading away into the historical dust bin, he started an effort to bring Detachment(A) in from the cold. With this most important goal at stake, and with the knowledge of how important this unit and its members were to the Special Forces history he began an endeavor that took years of hard work and dedication to accomplish the one goal in his mind: to bring Detachment(A) in from the cold; to finally bring about the recognition that was so richly deserved to the Detachment(A) unit and its members. He could not let this unit fade away. He began by organizing Detachment(A) functions – Detachment”A” members were scattered all over the world. They started out very small but grew each year and have become very successful. He then created a new Detachment(A) web site and domain, dedicated exclusively to Detachment(A). In conjunction with this, he wrote and published the article “A Thumbnail Look at Detachment(A) Berlin Brigade in 2012. Then things just took off. He continued organizing and hosting Detachment(A) functions with increased numbers and success. The Thumbnail Look at Detachment(A) Berlin Brigade was circulating for some time, and the Special Forces Association(SFA) got hold of it and published the article in the 2013 Winter edition of the Drop Magazine. 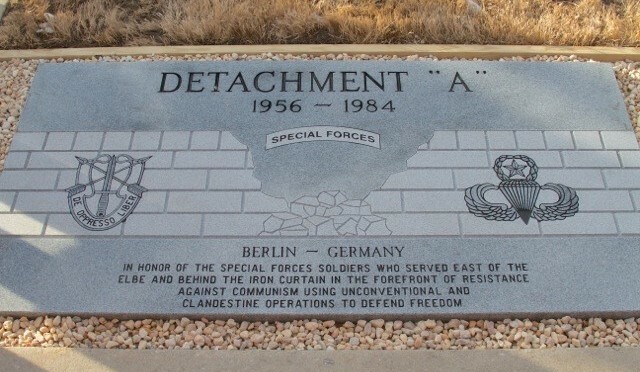 Bob also worked with the SFA and was able to obtain a section dedicated to Detachment(A) in the Drop Magazine. The Detachment(A) functions continued to grow with members getting together to share stories about serving in Detachment(A). These functions were gatherings of the Detachment”A” folks, and the format and motto was simple: come as you are, pay as you go, BYOB and no agendas and no politics. Jeff Raker told him never change this format. Bob organized several projects to continue to bring Detachment(A) in from the cold which were all team efforts including representation of Det-A in the JFK Museum, collecting Det-A artifacts, and managing the project that brought Jimmy Spoo’s Memorial Stone idea to fruition. He made it a team effort which allowed all Detachment(A) members to contribute to the Memorial Stone, which they generously did. He coordinated with SFA to manage the contributions. The project was fast and furious, collecting all the money that was needed and then some. All monies over the necessary funds were donated to the Green Beret Foundation. The Detachment (A) Memorial Stone Dedication Ceremony was hosted by LTG Charles Cleveland, Commanding General for the U.S. Army Special Operations Command (USASOC) on 30 January 2014. The Memorial Stone ceremony was covered by the local copy press and was also televised. It was a major success and a real team effort. Bob then continued his efforts and wrote another article for the VFW Magazine entitled: “In the Eye of the Cold War Hurricane, Detachment A Berlin Brigade” which was published in the November/December 2014 issue. It was at one of the Detachment(A) functions that James “Styk” Stejskal indicated that he would like to write a book about Berlin Special Forces. 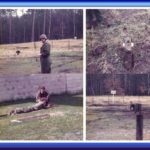 In the meantime, to keep the momentum going with the goal to bring Detachment(A) in from the cold, Bob worked with WeAreTheMighty.com and published the article: This top secret Green Beret unit quietly won the Cold War. The article was published on 1 February 2015. 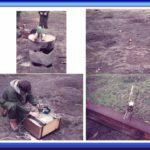 Another article was then published by WeAreTheMighty.com which featured Detachment(A): The 6 most-secret units in military history which was published on 14 June 2015 followed up with a video. Bob also worked with two highly established authors and writers who wanted to write books about Detachment(A). These two projects were put on hold because fellow Detachment(A) member James Stejskal’s book was still in progress and Bob did not want to interfere with his efforts until his book was published. 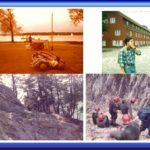 Bob continued his efforts and worked with NEWSREP’s reporter Jack Murphy from NEWSREP.com who published a short article about Detachment(A) entitled: Detachment A: the Cold War Sabotage Experts of Special Forces published on 27 April 2016. Jack conducted in depth interviews with Det(A) members and the articles he published were outstanding. Jack has been instrumental in bringing to light Det(A)’s legacy to the public with his professional writings. All of these articles are posted on the Detachment(A) website. 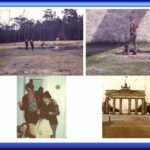 Jim’s book entitled Special Forces Berlin: Clandestine Cold War Operations of the US Army’s Elite, 1956–1990 was published 17 February 2017. Our function in Fayetteville NC in memory of Jeffrey Raker in June of 2017 featured a Detachment(A) formation at the Memorial Stone. This was probably be the last formal formation of Detachment(A). We also now have a biography in the making. There were interviews conducted at the function. We have two teams of biographers as well as the military professionals. 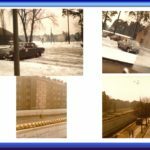 “The top-secret plan to cripple Berlin during a Soviet invasion” authored by Logan Nye and published on 14 August 2018. “Top-tier special operators of the Cold War worry about modern ‘soft skills’ ” authored by Logan Nye and published an article on 29 August 2018 entitled . For Bob, this was the ultimate honor, one he will never forget, from Detachment(A) members and from one of the best Special Forces soldiers he has ever served with, and a very special friend. Earlier this year, Gil called Bob Charest and discussed a concept and idea he had for making of a Detachment “A” plaque. Bob said ‘go for it’. Gil came up with the concept and design, hired a woodcarver to construct the plaque, and funded it. Gil put a lot of thought, time and effort into this plaque. Gil wanted an ‘eagle’ cane for Detachment ”A”. Eagle Canes are a tradition in many states. Woodcarvers/artists hand craft each custom cane and donate it to the veteran; in support of our veterans. 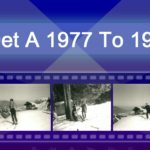 Maine shares in this tradition and Gil hired George and Donna Gunning, of Windsor ME. They carve each eagle cane individually to specifications and donate it to any veteran who has honorably served, no matter how long they served. 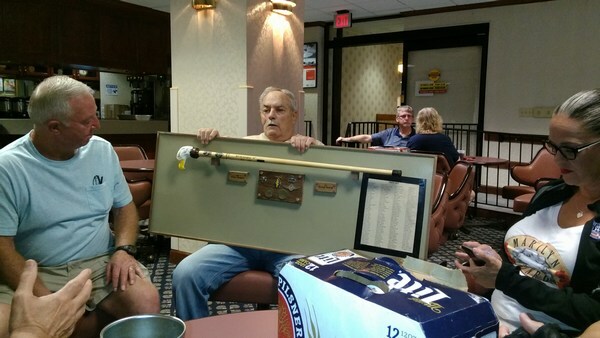 Gil wanted the eagle cane to be focal point feature of the plaque. The woodcarvers did their research about Detachment “A”. They read the articles posted on our web site and as they learned more about Detachment “A” they became very enthusiastic about the unit and the project. 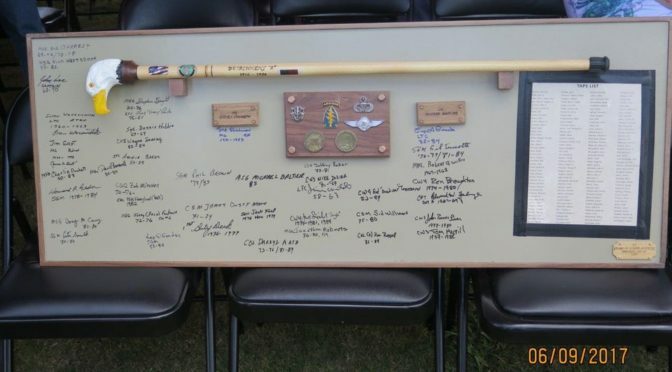 The overall plaque design consisted of: the eagle cane mounted on the plaque, Detachment A” items, US Army items and a large area for Detachment “A” members to sign their name and dates they served in Detachment ”A”. Gil collected all the items he wanted on the plaque then created a mock-up where each item would appear on the plaque. The entire project took about 4 months. There was a lot of collaboration and iterations – Gil was very particular on what he wanted. The most distinguishing feature of this artifact is the Eagle Cane. The cane has an intricate Bald Eagle’s Head carved and painted into the handle representing the national symbol of freedom and independence. The shaft of the cane consists of the American Flag, the Army Branch of Service emblem, a burned etching of “Detachment ”A” with dates of existence 1956-1984, and the Berlin Occupation Medal. On the left side there is a burned-in wooden block etched with MG Sidney Shachnow’s name, as he is the best known Commander of Detachment “A”. 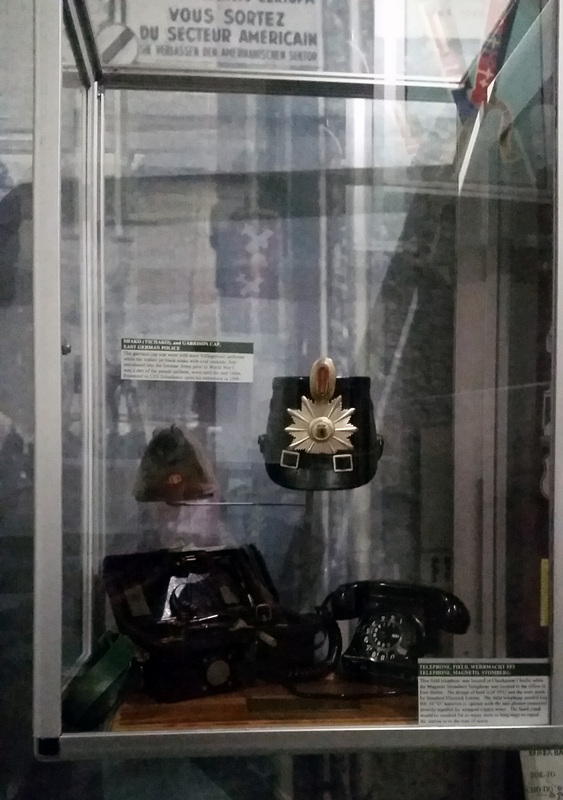 In the center there is another larger burned-in wooden block containing the Special Forces Crest, SF Shoulder Patch, American and German Wings, and two Detachment “A” coins one coin for the Head and one for the Tails which were Gil’s own coins. The head consisting of a parachute, represents the infiltration into Berlin by Detachment “A” members led by MG Sidney Shachnow(Ret). 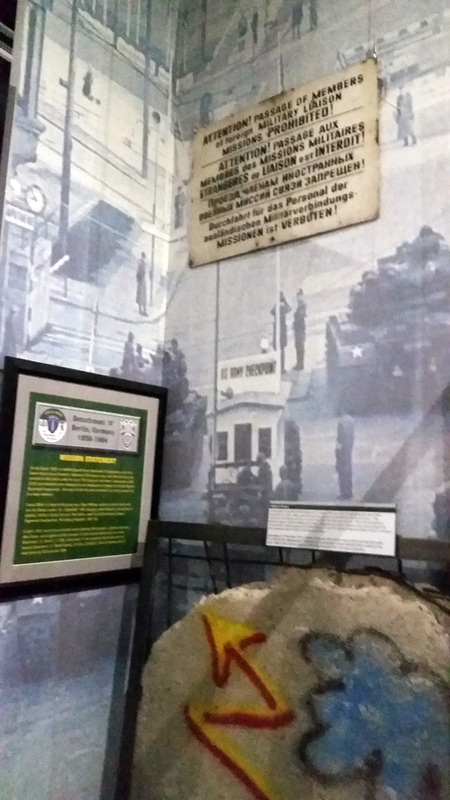 The tail consisting of a broken wall represents the exfiltration of Detachment “A” out of Berlin as LTC Piasecki(Ret) was the officer in charge of the final 10 days to clear out, sanitize and clean the station. On the right side of plaque there is another burned -in wooden block etched with LTC Eugene Piasecki’s name. The far right side of the plaque contains the Taps List with those departed members of Detachment “A”. It is positioned under base of the cane. Gil expressed its significance to be that whenever the base of a cane touches the ground it serves as a reminder of our honored comrades and brothers who are no longer with us, and to honor them and never forget them. The original taps list was sent out for reformatting and printing. It was originally printed on plain white paper. The owner wanted to know about the ‘Taps List’. When Gil explained it to her she ordered it to be re-printed on parchment and refused to accept any payment. On the back of the plaque Gil wrote: “Donated by Gil Turcotte, SGM(Ret) 2017”. The rest of the plaque is reserved for Detachment “A” member signatures and certain dignitaries. Each member signs their name along with time served in Detachment “A”. Gil arrived on Wednesday to the 2017 Detachment “A” function in honor of Jeff Raker with the plaque. Gil designated that the first signature and the location of the signature at the top of the bald eagle’s head be reserved for Bob Charest. Gil wanted Bob to have this distinction of being the first to sign because he ‘brought Detachment “A” in from the cold” and “made it prominent by bringing long due recognition for the unit”. 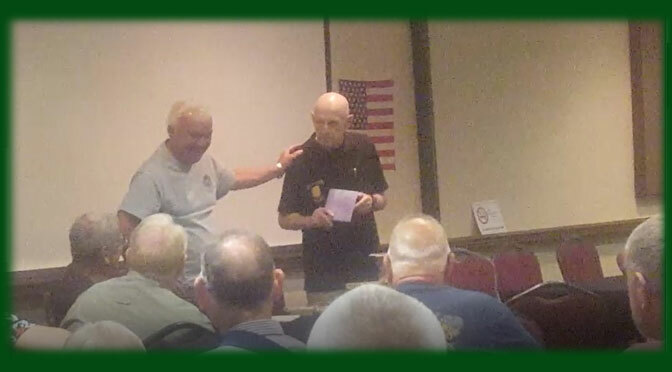 Bob was honored as the first Detachment “A” member to sign the plaque at the head of the eagle. Members present on Wednesday also signed the plaque including John Lee, Chris Feudo, Rick Westbrook, Steve Bright, Lee Fondas, and Eugene Piasecki who signed under the block containing his name. On Thursday after MG Jim Guest’s speech, Gil had CSM Jeff Raker’s son Jeff to sign the plaque on his father’s behalf and in his honor. Gill then caught up with our distinguished guest speaker MG James Guest’s(Ret) former Commanding General, United States Army Special Forces Command and obtained his signature. Gil continued collecting signatures from all Detachment “A” members present at our function. He also signed for some members with their permission, who were unable to attend, including Daryl Katz, Peter Gould and Doug Curry. On Friday, right before our ceremony, Gil got MG Sidney Shachnow(Ret) to sign the plaque under the block containing his name. Our June 2017 function in honor of Jeff Raker, included the presentation of the plaque. At the conclusion of our ceremony after MG Shachnow’s speech, Bob Charest called on Gil Turcotte who then presented the plaque to MG Sidney Shachnow(Ret) who then donated it to the JFK Museum on behalf of Detachment “A”. At the far right bottom corner of the plaque contains the woodcarver’s names George and Donna Gunning, Windsor ME, 2017. They did not want to put their logo because they thought it might detract from the plaque but Gil convinced them to place it on the plaque. They have produced 3,800 canes for Maine veterans at no cost to the veterans. Donations are accepted to keep the tradition going. Gil presented them with an autographed copy of Styk’s book Special Forces Berlin: Clandestine Cold War Operations of the US Army’s Elite, 1956–1990 as a gift, along with a donation for their work. It was the early 1970’s, at Andrews Barracks in Berlin, where a stern looking Special Forces Sergeant Major paced down the hallway for roll call. Daily army accountability formations are normally held outside, but due to the extremely classified nature of the mission carried out by the Special Forces soldiers standing in the hall that day, roll call had to be done indoors where they would not be spied on or photographed by enemy agents. A surprising number of men in the hallway had served in Special Forces units in Vietnam such as MACV-SOG and Project Sigma, but a handful of men there that day had in fact participated in D-Day. There were some Johns, Dicks, or Harrys, that raised their hands. The Sergeant Major doing roll call then got to the last soldier raising his hand and began to write down the name Gerhard Kunert. His pencil suddenly stopped scrawling across the clipboard. Kunert, a member of team six, clicked his heels and replied, “I was in the 7th Panzer, I was in Normandy, and I want to go to the reunion!” Kunert was not alone, also on his team was a German who served on U-boats during the war. The unit was commanded by Sid Shachnow at one point, a Jewish holocaust survivor who immigrated to America and eventually became a Green Beret, but in the unit’s ranks were a number of former Nazis. The Lodge Act, named after Senator Henry Cabot Lodge, allowed displaced persons from World War II, hailing from countries like Ukraine, Hungary, Germany, and Czechoslovakia to join the United States Army, many of them joining Special Forces and bringing with them much sought after foreign language skills needed as the Cold War escalated. Some had served in the Warsaw rebellion against the Nazis, others had fought in the 1956 Hungarian revolution, and some had even been a part of the Finnish underground during the war. 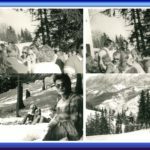 “It was a fast track to [American] citizenship,” Warner Farr said and Bob Charest added that, “you felt like you were in a foreign Army.” The Lodge Act Green Berets could be identified by looking at their US Army serial numbers which all carried the same prefix at the beginning: 10812. “I bet at that time  there were no more than 15 Americans in the unit,” Farr said, referring to native-born Americans as opposed to Lodge Act soldiers and naturalized citizens. Gradually, the unit did become more Americanized as the Cold War progressed and World War Two veterans began to age. The unit was called Detachment A, with the then classified name of 39th Special Forces Operational Detachment (SFOD), a clandestine Special Forces unit. Technically illegal under the Four Powers Agreement, Det A was on twenty-four hour standby in Berlin in the event that the USSR pushed over the wall from East Germany and invaded Western Europe. Secreting themselves in safe houses, the Det A members would activate once the forward line of Soviet troops passed over their positions and then carry out acts of sabotage and guerrilla warfare. 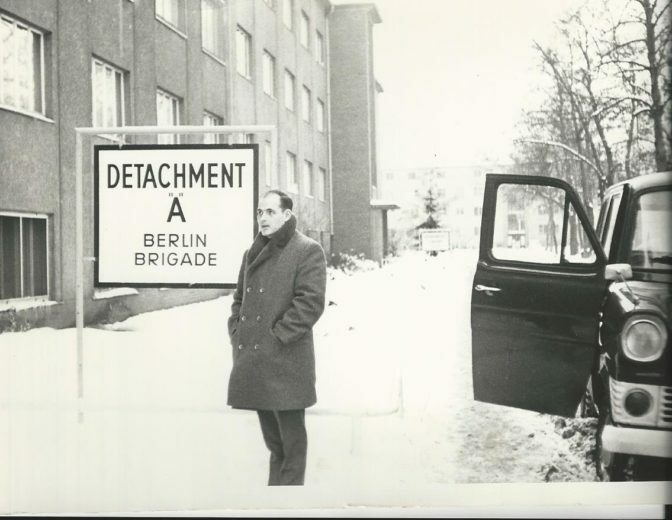 Formed in 1956, Detachment A originally consisted of four A-teams which were each assigned an area of responsibility in Berlin, on the north, south, east, and west sides of the city. Later two more teams were added. “The big mission was the stay behind mission for World War Three,” Colonel Warner “Rocky” Farr said. Teams consisted of eleven men, with a B-team above them making the entire unit no larger than eighty or ninety people at any given time. While most are familiar with the three main methods of infiltrating behind enemy lines by crossing overland, by parachute, or by sea (including sub-surface with dive gear), fewer are familiar with the concept of stay behind teams. Forward deployed to Berlin, the Green Berets assigned to Det A were already in their area of operations, infiltrated before the outbreak of projected future hostilities. At the conclusion of World War Two, Berlin was occupied by the countries who had liberated Germany from the Nazis, including the British, French, Americans, and Russians. Already envisioning a future conflict between the red menace and the West, the Russians controlled East Germany and West Germany was split up amongst the other three nations. This arrangement was formally codified by the Four Powers Agreement years later. Bob Charest sporting relaxed grooming standards and common fashion at the time to blend in with Berliners. The Russians erected the Berlin Wall in 1961, after having already imposed draconian travel restrictions on the citizens of East Germany since the mid-1950’s. 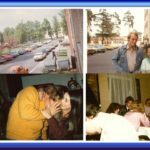 The public reason for the wall was to prevent the infiltration of Western agents, but the reality is that it was a way for the Soviets to control citizens of Berlin, many of whom were desperate to escape communist-occupied East Germany. “When the wall went up we were going home at night with our radio and our weapon,” James Wild said, due to the escalating tensions with the Soviets at that time. Det A was known as a hidden gem, being the best assignment in Special Forces, however those who knew about the unit were few and far between. More often than not, Special Forces soldiers volunteered for Det A because an assignment in Germany sounded appealing or because their senior Sergeants highly recommended they take the job. Many had no idea what Det A’s mission was until they arrived in their team room in Berlin and began receiving classified briefings on the stay behind operations. Assigned to 10th Special Forces Group in 1958, radio repairman Private James Wild was selected to go to Berlin, despite his objections as he wanted to stay with an A-Team. Trucked over to Munich, and then taking a train to Berlin, he was picked up by several Det A members. He was only read on to the mission several years later when he became Special Forces qualified and was promoted to sergeant. “It just scared the crap out of me,” Wild said as he got the impression that their job was a one-way trip. When 2nd Lieutenant John Lee arrived at the airport in Berlin in 1968 wearing his class A uniform, two Det A soldiers in civilian clothes met him and asked why in the world he was in a uniform. “Because I am American soldier!” Lee replied. “Not today you’re not,” they said before bundling him up in an overcoat and rushing him off to their base where he was to take charge of team two. 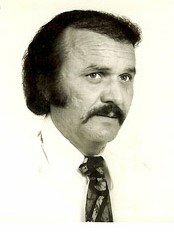 Until receiving his in-brief, Lee knew absolutely nothing about Det A.
Farr took a Defense Language Institute (DLI) assignment to learn German with a follow-on rotation to Berlin and wound up assigned to team three within Det A in 1971. “Herman Adler was my team leader who was a great guy,” Farr recalled. “He had been in the SS during World War Two. He was an SS officer…he fought his way out of Russia through the snow. We used the call him the Schwarzer Adler: the black eagle.” Adler later went on to run some selection courses for Special Mission Units and was retained by the US Army as a Captain due to his expertise. Arriving at Andrew’s barracks, the men of Det A found fairly typical team rooms, but the building they worked out of was actually a former base of the Waffen SS. The facilities included an olympic size swimming pool, which was great for morning physical training and scuba training. There was also an old firing range in the basement, where the SS had reputedly executed a few people during the war. Next door was a building belonging to the Army Security Agency, who widely believed Det A to be an assassination unit, which simply was not true. Det A was the Army’s clandestine Special Forces unit stationed in Berlin during the Cold War. 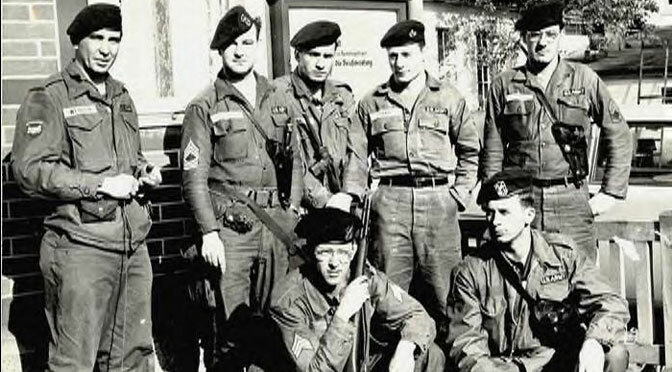 Charged with the “stay behind” mission, these Green Berets would prepare to conduct acts of sabotage in Berlin in the event that the Soviets ever invaded. 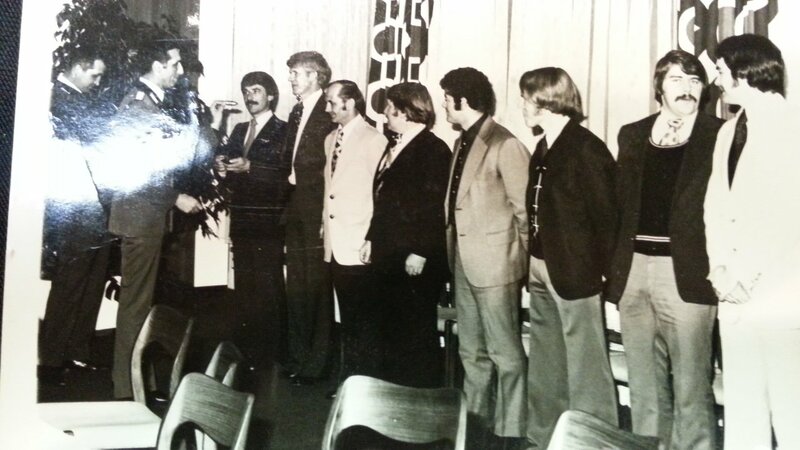 When new members arrived at Det A, they would be trained and mentored other members. Formal school training was done by completing the Special Forces Operations and Intelligence (O&I) course and some Det A members were also allowed to attend the CIA’s demolitions course where they learned all sorts of sneaky stuff. 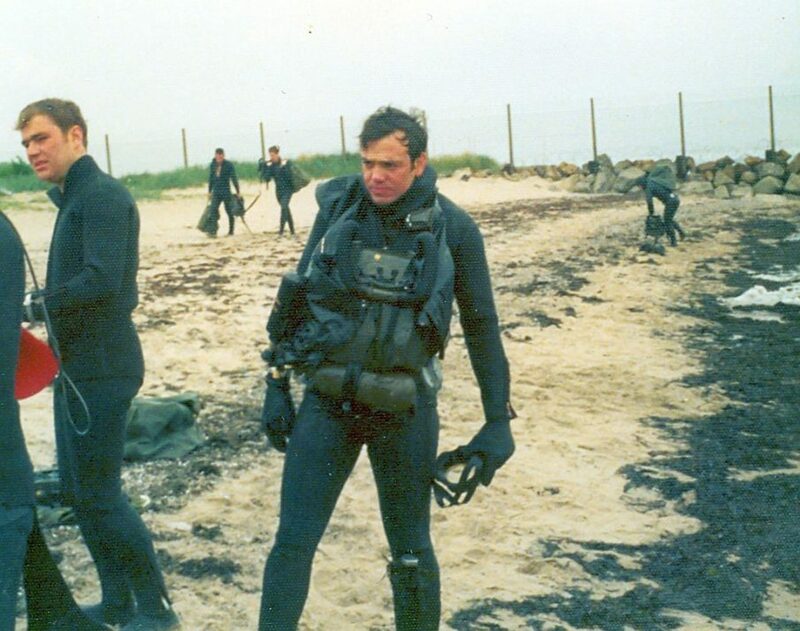 There were also numerous opportunities for Det A members to attend foreign special operations courses ranging from the Danish scout-swimmer course to the GSG-9 German counter-terrorism course, the first two American graduates being pinned by Colonel Wegener who led the Mogadishu aircraft take down in 1977. Other members attended German Ranger School. 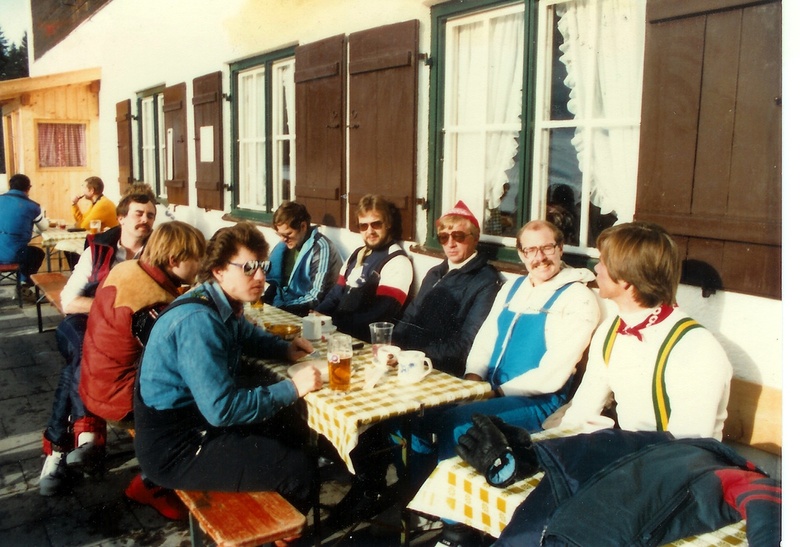 Being airborne qualified, the Det A soldiers would also travel to 10th Special Forces Group at Bad Tölz to complete their monthly jump in order to stay current as well as conducting yearly ski training in the Alps. 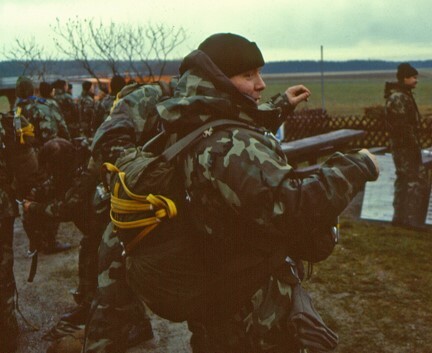 The men of 1st Battalion, 10th Special Forces Group stationed at Bad Tölz (separate from Det A) were prepared to carry out Operation “Falling Rain” which would have seen them inserted by parachute into Eastern Europe to conduct unconventional warfare. Det A members also became combat diver qualified by attending a course in Crete run by SEAL Team Two. Since their dive gear also had to be indigenous, they acquired Dräger LAR III rebreathers, that were so state of the art that not even the SEALs had them yet. These skills were later refined by German military divers. 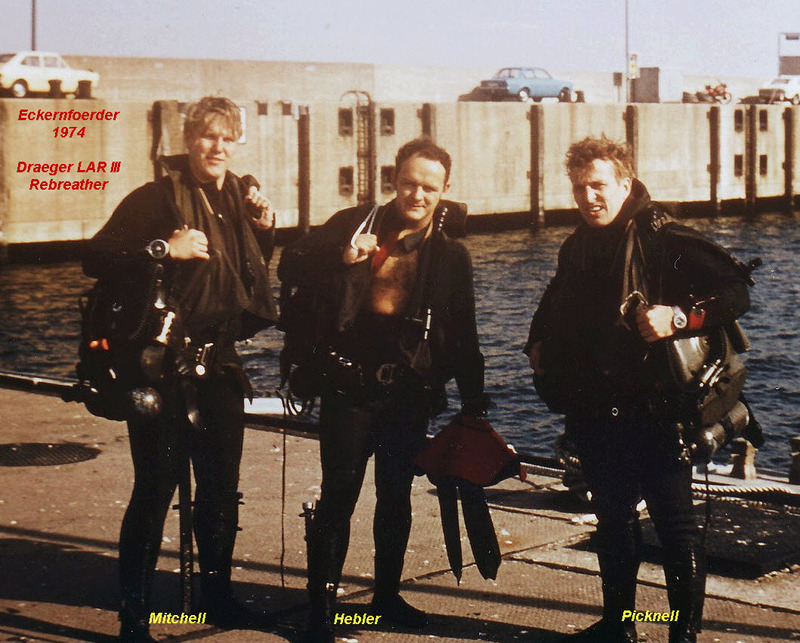 “The Kampfschwimmer Kompanie gave us the rebreather training as well as passing on their refined expertise in harbor and inland waterway operations,” Lieutenant Grayal Farr said. 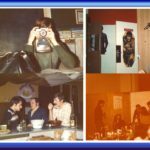 Before that they had Dräger dual stage oxygen tanks which some Det A members used when they swam up into canals in Berlin, looking for ways to penetrate the border in 1973. Sergeant First Class Ron Braughton initially served as a medic on team five, and as a practitioner of several martial arts, led hand-to-hand combat training for his fellow unit members. “it was mission oriented, not a bunch of fluff,” Braughton said. “I am a senior black belt so I took the real combative aspects of that. Stick, knife, improvised weaponry, hands, knees…there were days set aside where I would train the whole unit for PT.” Of course, Det A members also conducted close quarter battle training, including conceal carry and drawing and shooting their Walther P38 pistols from the holster. Detachment A members worked in a decentralized manner. “Det A never had any robust support from the Special Forces community during that time,” Mike Mulieri said. In order to complete the appearance of being normal civilians, Det A members were also on relaxed grooming standards and wore local clothes, down to the underwear. The dress code also evolved over the course of the unit’s history, starting with a suit and tie but later becoming slacks and an open shirt, adjusting to contemporary styles. Just as important was understanding the cultural nuances. Simple things like holding up your pointer and middle finger to order two beers instead of your pointer finger and thumb could give you away as American. Which hands you held your fork and knife in could betray you as a foreigner. Looking the wrong way to check for cars at an intersection could tip off a surveillance agent that the person was British. No matter how good their German language capabilities were, if the Det A soldiers were not fully immersed in the local culture, then they could risk compromise. Due to how easy it was to be exposed, and the extremely politically sensitive situation in Berlin during the Cold War, there was no room for error by the men of Detachment A. Those who screwed up had to be sent packing home. 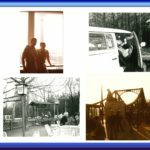 One incident occurred when two Det A members were caught smuggling East Germans into West Germany for profit. They made a pretty penny at it too, at least until US Army intelligence caught on to their act. Another precarious situation unfolded when three Det A members were rolled up in the British sector of Berlin. 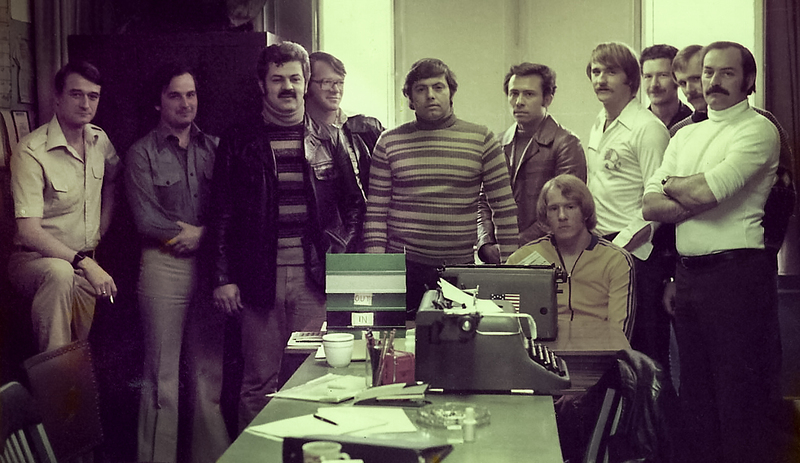 In 1974, a training mission was devised for Det A to test local infrastructure security. “But just as we pulled our little red Fiat out of its hiding place in the woods – two VW busses full of the Berlin Polizei came up upon us and began to chase us,” Staff Sergeant Bob Mitchell said. The three Det A soldiers got trapped in a cul-de-sac next to the British Officers Housing complex, and engaged in mock firefight with blanks against the Germans, but the Americans were overwhelmed and captured. The British Provost Martial witnessed the entire episode and believed that the Americans were British officers and that the black-clad German policemen were members of the IRA. Heavily armed British Military Police showed up but by some miracle did not kill anyone, soon realizing that it was just a training mission. Under the Four Powers Agreement, there were not be any elite troops stationed in Berlin, but of course the British SAS, US Special Forces, the Soviet Spetsnaz were all present. “It was known within our circles but officially we were not there,” Charest commented. 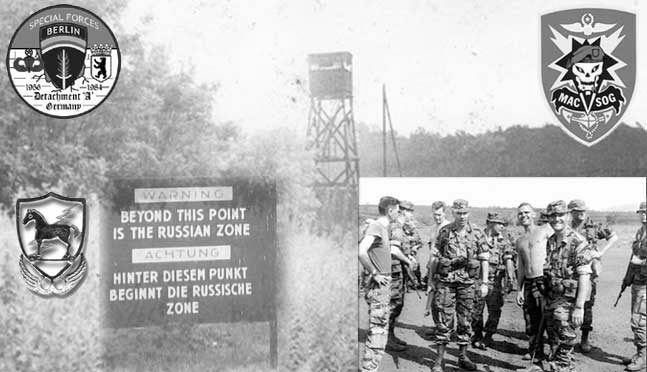 Ironically, the Spetsnaz element in East Germany probably had the same mission as Det A, to act as a stay behind unit to conduct sabotage operations if NATO ever decided to charge across the steppes towards Moscow. The Four Powers Agreement also stipulated that Russian and American troops could cross into each other’s territory, under supervision and in uniform. Det A members did this regularly, wearing class A uniforms with conventional Army shoulder sleeve insignia. Wild said that during the late 1950’s, “almost everyday someone from the detachment went to East Germany from Checkpoint Charlie in a staff car driven by a MP and accompanied by a staff officer,” with a very specific route to drive from which they could not deviate from. By the 1970’s, Det A members could get out in East Germany and walk around while in uniform. 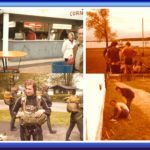 Since the dollar had such a great exchange rate in East Germany, the Special Forces soldiers would take the opportunity to eat a gourmet meal for just a couple bucks. While in East Berlin, the Green Berets cased their targets, knowing that they were being watched by the Stasi and Russian KGB. 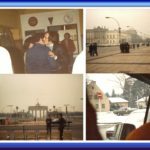 A few Det A members even infiltrated into East Berlin wearing civilian clothes using the public transportation system, seeing how far they could push their limitations but this activity was never sanctioned by their command. 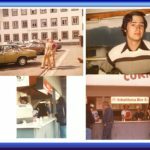 In East Germany they were usually followed and under surveillance, the soldiers having to act as if everything was normal and behave like they were just GI’s making a run over to East Berlin to take advantage of the low exchange rate to buy goods that would be expensive on the other side of the wall. Back in West Germany, there were enemy agents watching them parachute onto drop zones for training, keeping watch over Andrews barracks, and occasionally tailing them around the city. The men of Det A were highly trained professionals, ready to carry out what would most likely be a suicide mission in the opening hours of World War Three. However, Det A was not always so highly motivated, as the unit also faced some dark times due to conventional Army officers who did not understand the Special Forces mission of unconventional warfare. A Colonel in the Berlin Brigade ordered Det A to train his men on basic Infantry skills, taking them away from their unconventional warfare mission. Now the Det A team members were walking around the base in uniform with fresh haircuts. The reindeer games continued until the Det A’s Sergeant Major, Jeff Raker, went and talked to his counterpart in the conventional Army. He built rapport and explained that by having Det A train Infantry privates, that they were undermining their own NCO’s who are the ones responsible for training their own soldiers. With that in mind, the Army let Det A get back to their urban unconventional warfare mission. As the Cold War matured, the mission of Det A evolved, shifting gears to face a new threat that the Western World was unprepared for. 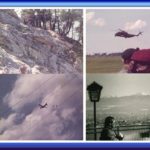 In the early 1970’s there had been a rash of aircraft hijackings, many perpetrated by the Palestinian nationalists belonging to the Popular Front for the Liberation of Palestine (PLFP). The slowly escalating threat turned into a crucible for German authorities in 1972 when Palestinian terrorists belonging to a group calling themselves Black September took Israeli athletes hostage during the summer olympics in Munich. The German police attempted to bait the terrorists into an ambush, where they could be taken out by sniper fire without hurting the hostages, but the crisis ended in a massacre, with both terrorists and hostages slain. The specter of international terrorism had reared its ugly head. The German federal police, wholly unprepared to deal with the threat, were tasked to create a counter-terrorism unit called GSG-9, commanded by Colonel Ulrich Wegener. The Americans took a while longer to catch up but a few years later Detachment A was tasked with a new mission under OPLAN 0300: counter-terrorism. In addition to their stay behind mission, the Det A members now had to be prepared to carry out counter-terrorism operations. The main concern for the unit, was the hijacking of American Pan Am flights into and out of Berlin but Det A was also charged with protecting and capturing any other hijacked American aircraft in Europe. 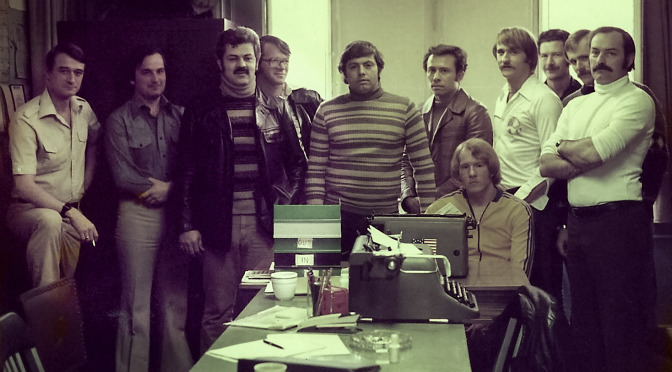 The Baader Meinhof gang also posed a threat in Det A’s area of operations, and one team from the unit was assigned the task of countering the communist terrorist organization, especially after they kidnapped the mayor of Berlin. Det A members graduate the GSG-9 counter-terrorism course and are pinned by the unit commander. Det A began cross training with GSG-9 in case they had to conduct joint operations, and had a friendly relationship that allowed them to share tactics, techniques, and procedures. Six members were sent to Quantico to attend the FBI’s air crimes course. The Special Forces soldiers also received additional weapons for their new mission such as scoped Model 70 Winchesters to use as sniper rifles and Walther MPK sub-machine guns. A military transport plane was placed on standby to ferry the Det A members within striking distance of targets they may be called upon to assault in the future. Since the main concern was a Pan Am aircraft being hijacked, the airliner allowed the Det A teams to practice taking down their aircraft but at various times they also trained to assault buses, trains, and buildings. Det A, “practiced techniques on entry into the airplane from any angle you can imagine,” Charest said. “We practiced on that plane day and night.” The unit’s newfound counter-terrorism capability would be put to the test years later, not in Europe, but in Iran during Operation Eagle Claw. At 10:30AM on November 4th 1979, nearly 3,000 armed “university students” stormed the American embassy in Tehran, taking over 90 American hostages at the behest of the Ayatollah Khomeini. The students demanded that Iran’s disposed Shah be returned to Iran from the United States to face trial. Some hostages were released, leaving 66 remaining, with six Americans who had escaped to the Swedish and Canadian embassies evacuated under Canadian passports in a well orchestrated CIA operation. While most of the hostages were held on the embassy grounds, three were kept at the Iranian Ministry of Foreign Affairs (MFA) building located 16 blocks away from the embassy grounds, including the acting ambassador and two embassy staff who had been there on official business when the embassy was taken over. The US Army counter-terrorism unit, Delta Force, had just recently been validated following a training mission at Camp Mackall and the unit’s commander, Colonel Charlie Beckwith, immediately went into mission planning in case a political solution could not be found and President Carter authorized a hostage rescue. With two Delta Squadrons, Beckwith simply did not have enough operators to cover the 27 acre embassy compound while simultaneously assaulting the Ministry of Foreign Affairs building. Beckwith, “did not want another ground force brought into play. He resisted the need for a long time but eventually had to accept the reality of two rescue locations” (Lenahan, 34). Delta Force preparing for Operation Eagle Claw. The commander of Det A, Lieutenant Colonel Stan Oleshevic, was tasked with assembling an eight-man assault element that could infiltrate into Iran with Delta Force and rescue the hostages held in the MFA. Their portion of the mission would be dubbed, “Storm Cloud.” They then developed a tactical plan and initiated mission rehearsals. A two-man element from Det A was identified who could infiltrate Iran undercover and get eyes on the MFA building, gathering critical intelligence for the assault. The two recon men would then exfiltrate out of Iran, and join up with five team mates from their unit at the Delta Force staging ground, making for eight man assault element. The initial recce mission was a success, one of the Det A members having himself photographed alongside a Iranian soldier, with the MFA building prominently displayed in the background. Colonel Ulrich Wegener of GSG-9 was prepared to send a German TV crew into Tehran and offered to take some Delta operators with them so they could recce the embassy grounds, but the idea died in the Pentagon (Beckwith, 223). One of the two Det A members in Tehran had even, “gained access to the interior of the MFA building where the three American diplomats were detained” and discovered that there was a much larger security presence than they expected. For this reason, the Det A assault force had to be increased to 10-14 men. Under the leadership of Colonel Oleshevic, this was accomplished and a new Concept of the Operation was drafted (Lenahan, 98). Det A members conducting counter-terrorism cross training with GSG-9 in Germany. Meanwhile, the Pentagon has identified a suitable staging area for the rescue mission inside Iran, which became known as Desert One. 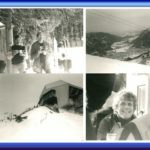 However, planners needed someone to walk the terrain, needing someone, “knowledgeable, experienced, and competent” in the skills of “taking soil core samples, calibrating penetrometer readings, navigating, and taking measurements at night” as well as “installing landing instrumentation devices” (Lenahan, 72). On March 30th, “the field survey team of Desert One was conducted by Major John Carney, a USAF Special Operations Combat Controller Team (CCT) leader. He was delivered to the site in a small civilian STOL-type aircraft operated by the CIA” (Lenahan, 95). With the air reconnaissance and soil sample missions complete, Delta Force wrapped up their mission rehearsals in the United States was flown to Wadi Kena and then to Masirah on April 20th in conjunction with the eight man team from Detachment A that would take down the Ministry of Foreign Affairs building. 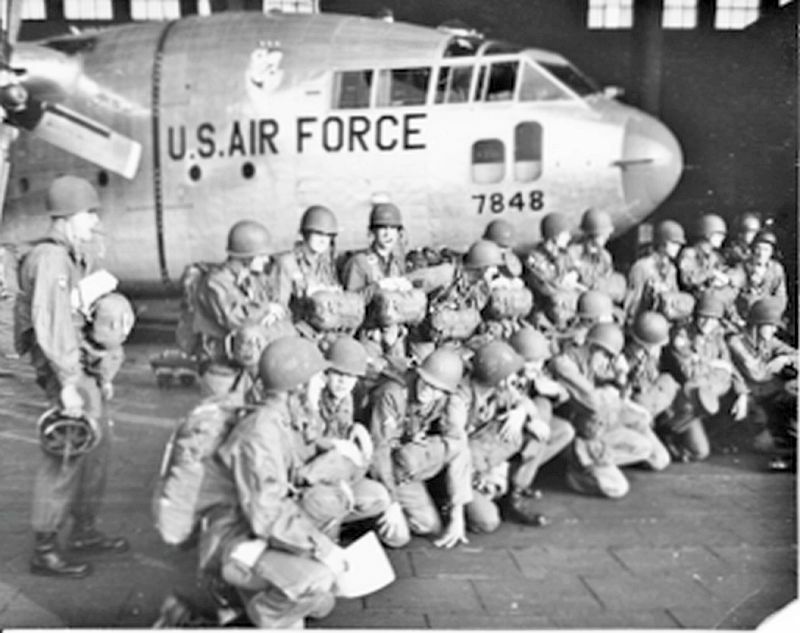 Before departing to Desert One, Major Lewis “Bucky” Burruss, Delta’s B-Squadron commander, led the men as they sung “God Bless America” just before boarding their aircraft. Delta Force and Det A landed at Desert One, located in the Dasht-e-Kavir salt desert of central Iran, on the night of April 24th with the last of six aircraft setting down at midnight. Now they had to wait for their helicopters to arrive from the USS Nimitz on station in the Gulf of Oman to take them on the next leg of their journey en route to the US embassy and MFA. Rangers tasked to pull security at Desert One came from Charlie Company, 1st Battalion, 75th Ranger Regiment and rode dirt bikes to help them get around the large staging area, where one soon shot a tanker truck driving down a nearby road with a LAW rocket launcher. The helicopters were delayed several hours because of a sandstorm and a few of them were seriously damaged during the flight. Due to time delays and mechanical malfunctions, Colonel Beckwith made the difficult decision to scrub the mission. 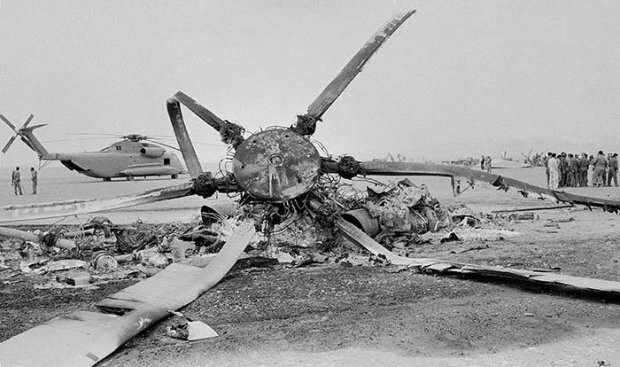 Around 2:40AM the men were preparing to abort and pull out of desert one when Major Schaefer’s helicopter crashed into one of the EC-130 airplanes. “A blue fireball ballooned into the night,” the ground force commander wrote (Beckwith, 279). One of the Det A sergeants was out pulling security on the outer perimeter with Delta’s intelligence officer, approximately a mile away from where the airplanes were parked when he witnessed the explosion off in the distance. Jumping on the back of a dirt bike with a Ranger driving, the Det A member linked up with one of his team mates from Berlin back at the crash site. He then told the Ranger to take the dirt bike back to get Delta intel officer, but for some reason that didn’t happen. Using IV bags that the Det A men took with them on the mission for medical emergencies, they began treating members of the air crew who had been critically injured. Looking up, one of the Green Beret’s assigned to Det A suddenly realized that one of the C-130’s was turning around and about to take off without any passengers onboard. He jumped out in front of the nose of the aircraft, holding his Walther MPK sub-machine gun, and waving to get the pilot’s attention. “I was ready to shoot those motherfuckers,” he said, not relishing the idea of being left behind. The plane ended up having 70 or 80 soldiers on board when it finally took off. After the failure of Operation Eagle Claw and Storm Cloud, the task force went right into planning a follow up mission to rescue the hostages. It was widely believed that President Ronald Reagan would authorize the mission as soon as he was inaugurated and President Carter stepped down. The second attempt would be called Operation Snow Bird. Detachment A soldiers were still tasked with taking down the MFA building in Tehran. This time mission rehearsals were carried out by Det A at Camp Rudder where the Florida Phase of Ranger School takes place. With new helicopters assigned to the mission, there could only be one pilot. The co-pilot would be too heavy a load for the helicopter to bear along with the assaulters due to fuel consumption issues. Just in case the pilot ended up getting shot, the Det A members were trained to fly the helicopter safely to the ground. “We all got some stick time,” Sergeant Major Jeff Raker recalled with a smile. 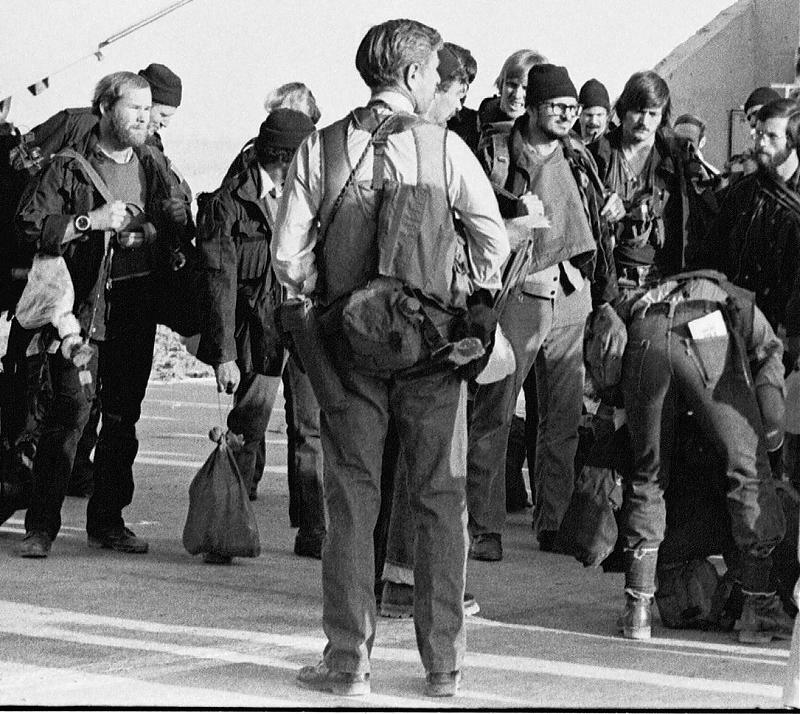 Just hours after Reagan was inaugurated, Iran released the remaining American hostages held in Iran, ending the standoff. Back in Berlin, Detachment A continued to conduct their unconventional warfare and counter-terrorism missions, however the later was beginning to have a detrimental effect on the unit’s operational security. The disaster at Desert One had put a spotlight on America’s counter-terrorism units and an article appearing in Newsweek exposed Detachment A’s existence. For this reason, Intelligence and Security Command (INSCOM) made the decision to disband the unit and start fresh with a new one. This was the dire impact of the counter-terrorism mission, particularly when mixed with clandestine espionage activities. The kinetic aspects of counter-terrorism raised the profile of Det A, leading to its exposure in the press. For a unit like Delta Force this wasn’t as big a deal since they were a Direct Action focused unit at Fort Bragg but for a clandestine unit in Berlin, the press exposure was a disaster. In subsequent years, Det A was also developing a relationship with Germany’s Spezialeinsatzkommandos (SEK). 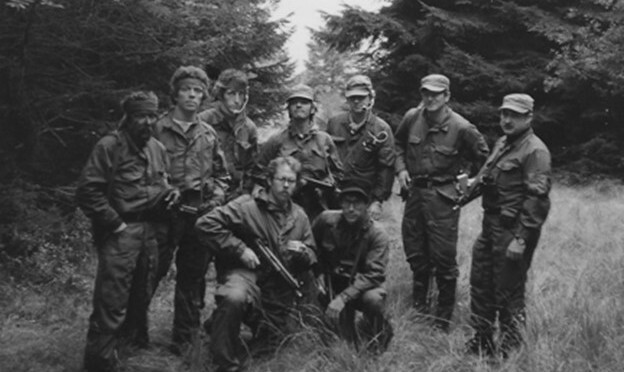 Detachment A’s team six, “had its own unique mission. 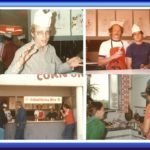 Most of ours dealt with close comradeship with the local SEK so we spent a lot of time with those guys,” Braughton said, which entailed working in the city and running surveillance operations. 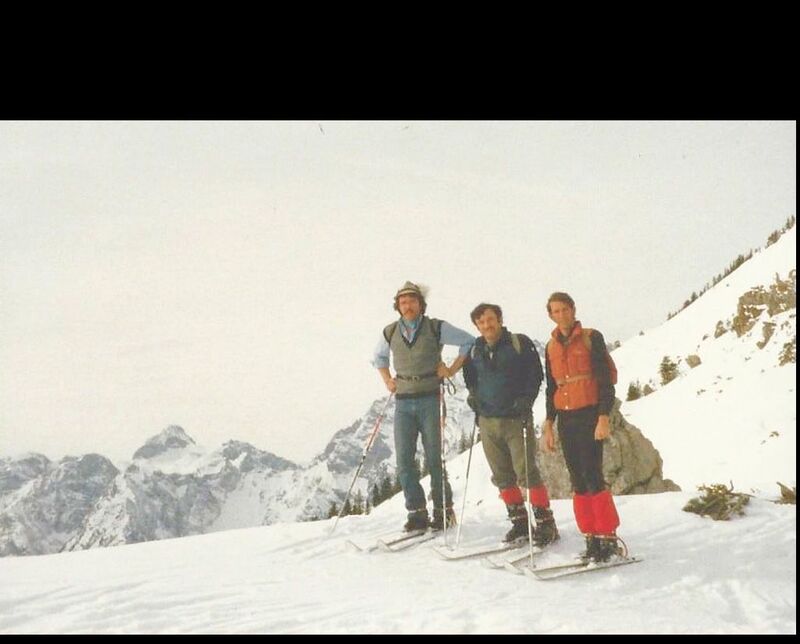 In between their busy professional lives, the Det A members would find time for recreation as well, some of them becoming amateur treasure hunters. Combing the countryside with metal detectors, a couple of the guys located and dug up a small box. Taking it back to the unit’s lounge, a crowd gathered around expecting to find some Nazi loot inside worthy of a Indiana Jones movie. When the men opened it up all they found was a dead bird inside, someone’s pet that had been buried. In 1981, General Dozier was kidnapped in Verona, Italy by the communist Red Brigades. Det A split into sniper and assaulter elements, packed up their weapons and gear, and were ready and waiting for a military aircraft to pick them up. After six weeks of captivity, Italian police stormed the apartment where Dozier was held, rescuing him and arresting a half dozen terrorists without firing a shot. 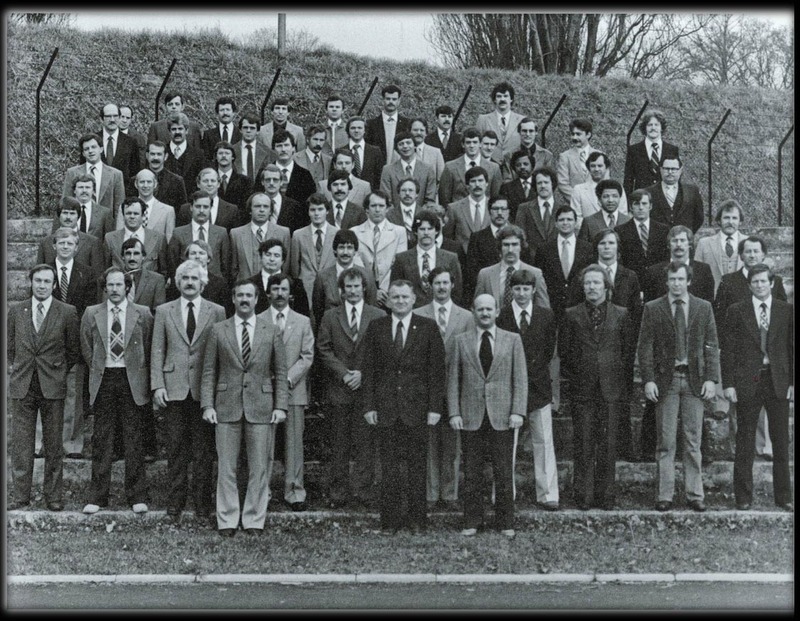 In December of 1984, Det A was in the process of being deactivated with only a handful of men remaining in the unit when they were called upon to perform one final mission. The German customs department and Berlin SEK were conducting a joint operation and needed a Russian linguist. Pranas Rimeikis from Det A was dispatched to assist in the investigation since he spoke Russian. Dubbed Operation Odessa, it was originally envisioned as an uncover operation, in which German authorities were targeting a criminal gang of Ukrainians, Lithuanians, and Russians who were smuggling guns, drugs, and passports. The ensuing surveillance operation involved pretty much every man left assigned to Det A and in the end the gang leader was arrested, to be later convicted in the German courts. Monahan and Cox were the last men out of the Detachment that day, and forever, locking the doors behind them. As they were shutting down the unit, the Green Berets joked that they felt like retreating Germans in World War Two, burning bag after bag of classified material. After decades of working in the shadows, Detachment A was inactivated. Det A’s legacy was handed off to a new Special Forces unit in Berlin called Physical Security Support Element (PSSE), with several Det A members making up the core cadre of the new unit. 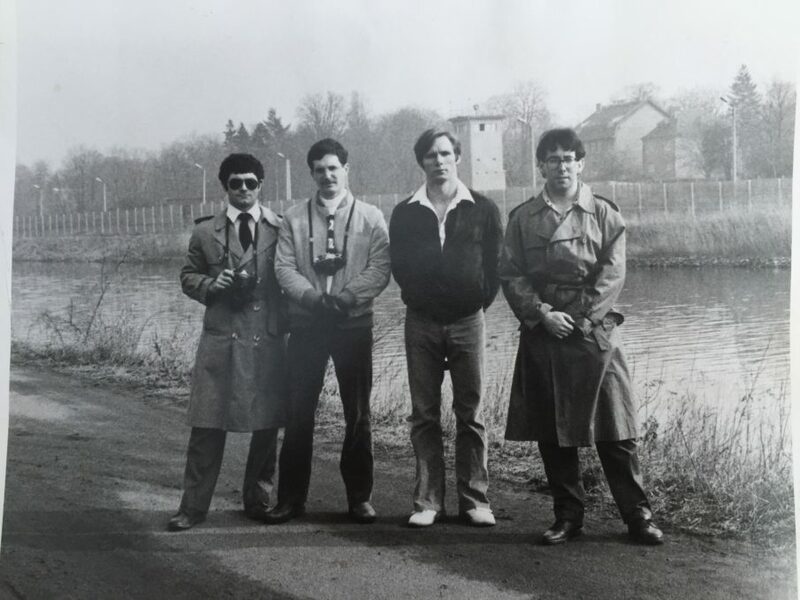 Disguised as military policemen and working under a more effective official cover as 287th Military Police Company, the new unit developed security protocols and did site surveys, but also continued the clandestine mission to counter Soviet activities and conduct counter-terrorism operations. Additionally, PSSE also worked abroad in Africa and the Middle East preparing embassy security plans. PSSE existed right up to the end of the Cold War, shutting down in 1990 after the Berlin wall came down. Afterwards, American military officers in Berlin had the opportunity to meet with their Russian counter-parts. As it turned out, the Russians believed that there were 800-900 US Special Forces soldiers in Berlin ready to carry out sabotage operations. In reality, the number was never more than 90. 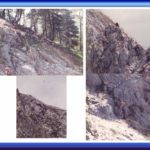 In a unique way, Special Forces had been successful in one of their core tasks as acting as a force multiplier, not just on the ground, but in the minds of Soviet military planners as well. With PSSE shut down, the US counter-terrorism mission in Europe was next handed off to another newly stood up Special Forces Commanders In-extremis Force (CIF). Most of the men who served in Detachment A remember it as their favorite assignment, including those who went on to serve more than twenty years in Special Forces, or moved on to Special Mission Units, or pursued a career in CIA. Det A was where they caught the bug, loving the camaraderie of the organization and the allure of the mission, serving in America’s only urban unconventional warfare unit. Today, after fifteen years focused on direct action missions in the Middle East, Special Forces is seeking to reinvest in their core mission of Unconventional Warfare. 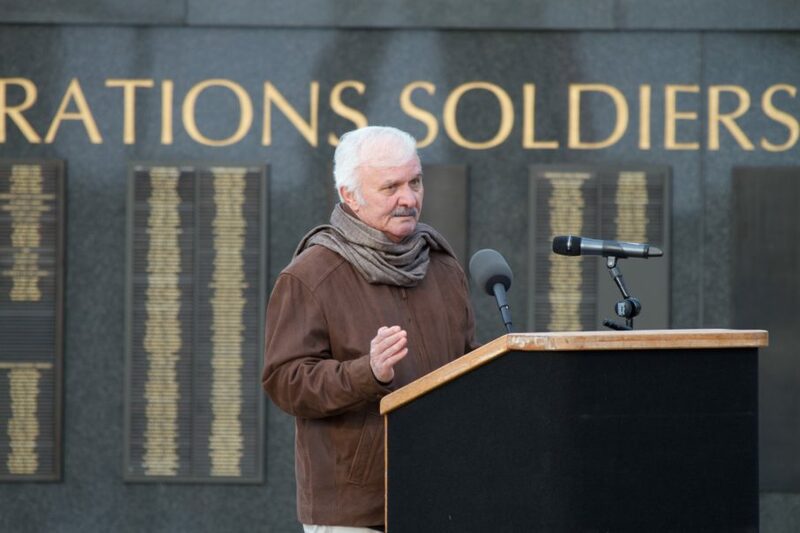 Part of this includes re-learning lessons from the past, lessons that can be handed down from veterans such as those who served in Det A when it comes to blending in and completing low visibility missions in foreign countries. 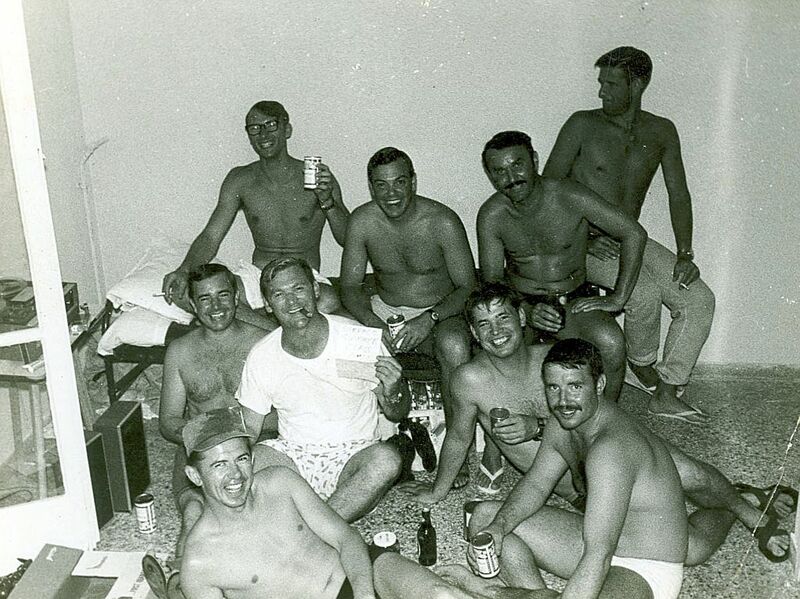 In recent years, the men of Det A have begun coming forward to tell their story lifting the cloak of secrecy which was so strong that even within the unit none of the six teams ever knew each other’s missions due to compartmentalization. In 2014, a ceremony was held as Special Operation Command on Fort Bragg to place a memorial stone for Detachment A. The unit’s colors were also permanently cased and retired, a moment that was symbolic for veterans of the unit who had never received any public recognition for their service up until that time. Today, Detachment A serves not as a Cold War relic or historical curiosity, but rather an example of how Special Forces soldiers can live off the local economy, move around with fake travel documents, plan sabotage operations, and conduct urban unconventional warfare. These are capabilities that US Special Operations is desperate to re-aquire. For 15 years the war on terror has placed an emphasis on Direct Action missions, but in today’s quickly evolving environment, America will have to once more perfect the unconventional warfare mission. Thanks to Detachment A, there is no need to start from scratch when developing these capabilities for today’s Green Berets. SOCOM has a previous example to draw upon, and should know exactly who to go talk to for advice: the clandestine Special Forces soldiers who stood their ground against communism on the front lines of the Cold War. *Note: all ranks mentioned in this article refer to the soldier’s rank during the timeframe being referenced as many went on to retire as senior NCOs, Officers, and Warrant Officers. Jack Murphy is an eight year Army Special Operations veteran who served as a Sniper and Team Leader in 3rd Ranger Battalion and as a Senior Weapons Sergeant on a Military Free Fall team in 5th Special Forces Group. Having left the military in 2010, he graduated from Columbia with a BA in political science. Murphy is the author of Reflexive Fire, Target Deck, Direct Action, and numerous non-fiction articles about Weapons, Tactics, Special Operations, Terrorism, and Counter-Terrorism. He has appeared in documentaries, national television, and syndicated radio. 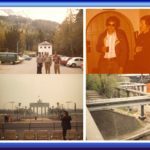 Jack Murphy from NEWSREP wants to write an article exclusively about Detachment(A) in Berlin to include its many missions during its existence. This will be a follow-up article to the short article he wrote and published on 27 April 2016 entitled Detachment A: the Cold War Sabotage Experts of Special Forces. This follow-up article will contribute to the history Detachment(A) and most importantly to its history in Special Forces. He would like to hear from Detachment(A) members, so if you are interested please contribute any and all of our many missions and stories to him. This is the main reason I started this 10 years ago as we were dying on the vine. Detachment(A) is one of the most distinguished units Special Forces ever had, yet we officially did not exist. Some of the most qualified Special Forces troops ever created served during the existence of Detachment(A). Use this form to contact Jack Murphy. Imagine American Special Forces soldiers traveling around Baghdad in civilian vehicles, speaking the local language, carrying false passports, and operating under a cover as they case targets and dodge foreign intelligence agents. Today, such a thing is an impossibility, a much sought after capability that Special Forces has been unable to attain in recent years. Yet, this is exactly what Green Berets did in Germany during the Cold War as a part of small unit known as Detachment A. Nearly lost the history books, Det A members lived off of the local economy and worked out of Andrews Barracks, as well as safe houses in and around Berlin. Coming into existence in the 1950’s, their primary responsibility was to be a stay-behind force in the event that the Soviet Union invaded Western Europe. Once the Soviet Army had invaded, these Green Berets would then activate, launching an unconventional war behind enemy lines before escaping and evading their way back to friendly lines. A big part of what made this mission possible was the Alien Enlistee Act of 1950, sponsored by Henry Cabot Lodge. The idea behind the so-called Lodge Act was to create a sort of American foreign legion, the ultimate Unconventional Warfare unit made up of men who defected from the USSR and its satellite states. With their in-depth knowledge of enemy nations and foreign language capabilities, they could be trained in Infantry and Ranger tactics before having their skills polished with instruction in sabotage and other forms of Unconventional Warfare. “I felt like I was in a foreign Army,” Bob Charest, a former member of Det A said upon realizing that there were almost more German names in the unit than American ones. 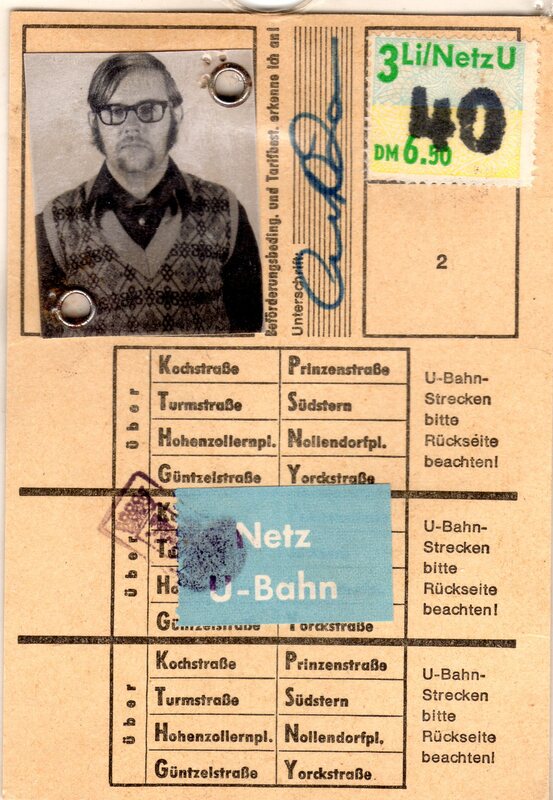 Traveling on Berlin’s bus system, Det A members avoided East German and Soviet intelligence officers as they cased targets that they would strike in the event of a Soviet invasion. 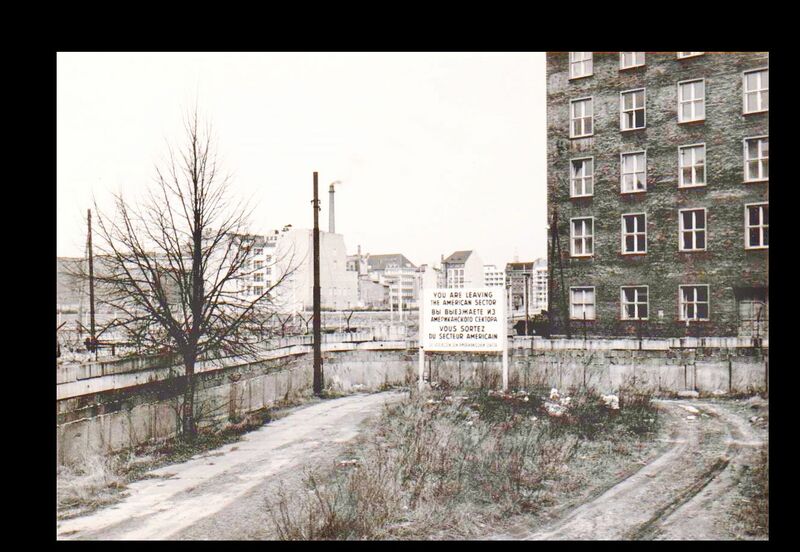 One of their main targets was the ring of rail road tracks that circled Berlin. One technique they developed was to use explosives camouflaged as blocks of coal. Once shoveled into the engine of a locomotive by an unsuspecting train engineer, both would be blown sky high. The mission of Det A changed with the times, its members adapting to the shifting geo-politics of the Cold War. 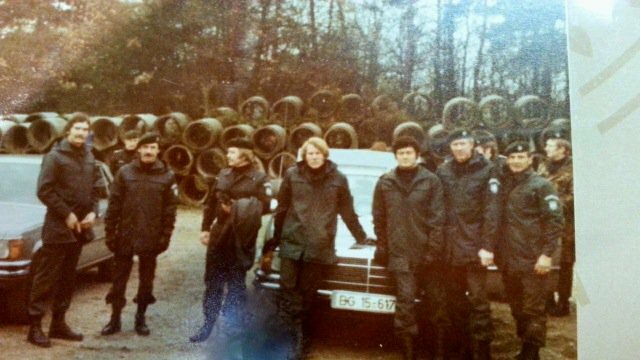 By the mid-1970’s, Det A began working closely with Germany’s GSG-9 counter-terrorism police unit. For the Green Berets, their main concern was terrorists hijacking an American registered aircraft in Berlin. Transitioning from the unconventional warfare mission to direct action, they trained extensively to conduct aircraft take downs. “We developed plans that the pilots never even knew how to get into that aircraft,” Charest added. 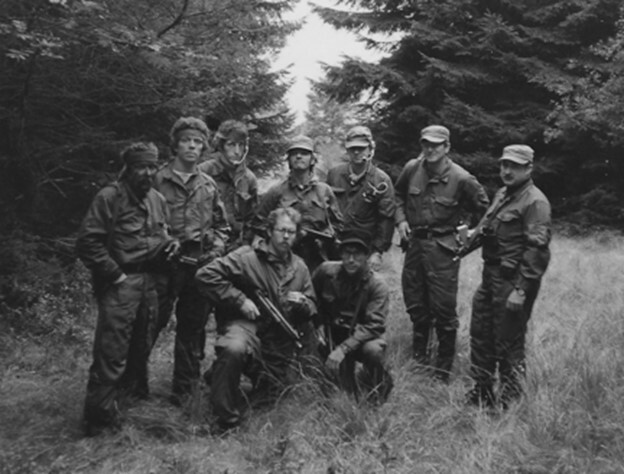 From maintaining CIA caches filled with arms and supplies, to developing plans to target Soviet infrastructure, execute aircraft take downs, recover downed pilots, and more, the men of Detachment A conducted the quintessential Special Forces mission which encompassed direct action, unconventional warfare, intelligence gathering, and reconnaissance behind enemy lines. Modern Special Forces soldiers would be well served by studying the past successes of a unit like Det A. 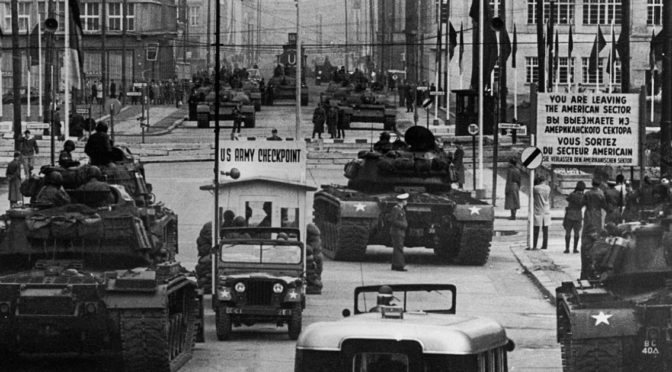 Their mission was so effective that at the end of the Cold War it was discovered that the Soviets believed there to be 600-700 Det A members in Berlin ready to engage in guerrilla warfare. The joke was on them of course, Det A never numbered above 90 men at any given time.